Stainless steel and rose gold IP case and bracelet. Stainless steel sunray dial face with rose gold dot at 12 o'clock. 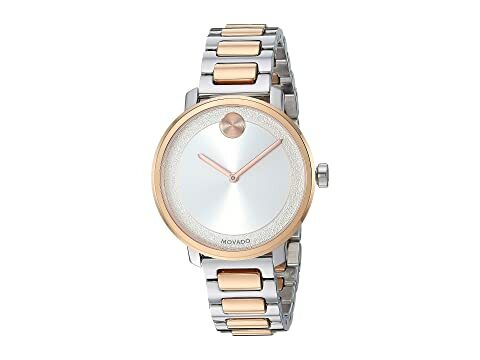 We can't currently find any similar items for the Bold - 3600504 by Movado. Sorry! I like this watch. I had to have it sized so that added an extra $17 to the purchase price. A Movado always delivers on function and style!